The bathroom may be the smallest room in the house but man oh man can it be wasteful! How many products do we really need? I've tried to streamline my bathroom supplies with some success. I'm sure I could streamline even more, but I feel like I've gotten into a pretty good zero waste groove. February is wrapping up. I have enjoyed the cold and the rain, but I am ready for long summer nights. I am ready for dry skin to be a thing of the past, or at least until next fall! Lotion has been one of the easiest switches I've made. It's so easy to make and works better than any store bought stuff I've tried. I use it on my body and face. You can get the recipe here. I need to rewrite this post about flossing. I still water pik and I love it. But, I've discovered a couple other flossing including silk floss. Swap a plastic razor for a reusable safety razor. Safety razors are made of stainless steel which means they can be recycled at the end of their life. Safety razors use stainless steel blades that can be recycled too. They can't normally be recycled in the curbside bin. Call around to your local recycling plants to see if they have a metal facility. The blades go through a different process that won't be near human hands. You can read how to maintain a safety razor here. More about switching and how to use a safety razor here. You probably have a plastic hair brush or comb. Why not switch to a wooden hair brush or comb? A wooden brush or comb does a much better job of pulling oil from the root to tip. You might be able to go an extra day without washing. Dry shampoo is my saving grace in the morning. Need an extra 15 minutes of sleep? This is what you need! It works great in dark or light hair. You can get the recipe here. The one I make works great for face, hair, body, and skin. It's super soothing and gently. It also lathers exceptionally well for a shave soap. As a bonus, It's only two ingredients! You can get my recipe here. If you don't want to make your own, I totally get it. See, if you have a local soap maker in town. We have several that make amazing products! If you're looking for a good soap bar to buy I'd check out this one and this one. Swap out traditional conditioner for ACV. Mix one to two tablespoons in a large cup of water. Use a spray bottle to spritz in your hair or just pour over your head. Let it soak in for a couple of minutes and then rinse. You can also use diluted ACV for toner as well. Using ACV is great to balance your pH especially after using a soap bar. Mouthwash could be a place to streamline, but I find that toothpowder doesn't leave your breath smelling very minty fresh. Mouthwash is a great addition to a morning routine. It's super soothing for gums and refreshing. You can get the recipe here. Swap out disposable pads and tampons for cloth pads or menstrual cup. They're both relatively easy to use! You can read about cloth pads here and menstrual cups here. Lip balm is another very simple swap! It's so easy to make. I have two recipes. My favorite recipe does have beeswax, but it leaves your lips so glossy and nourished. You can get the recipe here. I have also used it for a face lotion and it's wonderful! I have another recipe here that's vegan. You can get the recipe here. It does melt when it's warmer out, so try not to keep it in your pocket. You all know how I feel about my bidet attachment. I love it! It has shrunk our toilet paper usage by 60%! That's a lot of reducing. But, even after reducing that much, we can still make better choices like tree-free TP or 100% recycled. You can read the full post on toilet paper here. Ditch the plastic toothbrushes for a compostable bamboo toothbrush. Every plastic toothbrush ever created is still around! Isn't that crazy? I was able to be apart of an awesome short film illustrating that with Brush with Bamboo. You can see the post/video here. Think about switching your toothbrush today. I worked with a dentist on this toothpowder you can get the recipe here. The last thing I would want is to cause irreversible harm to my teeth. Health is my number one priority. 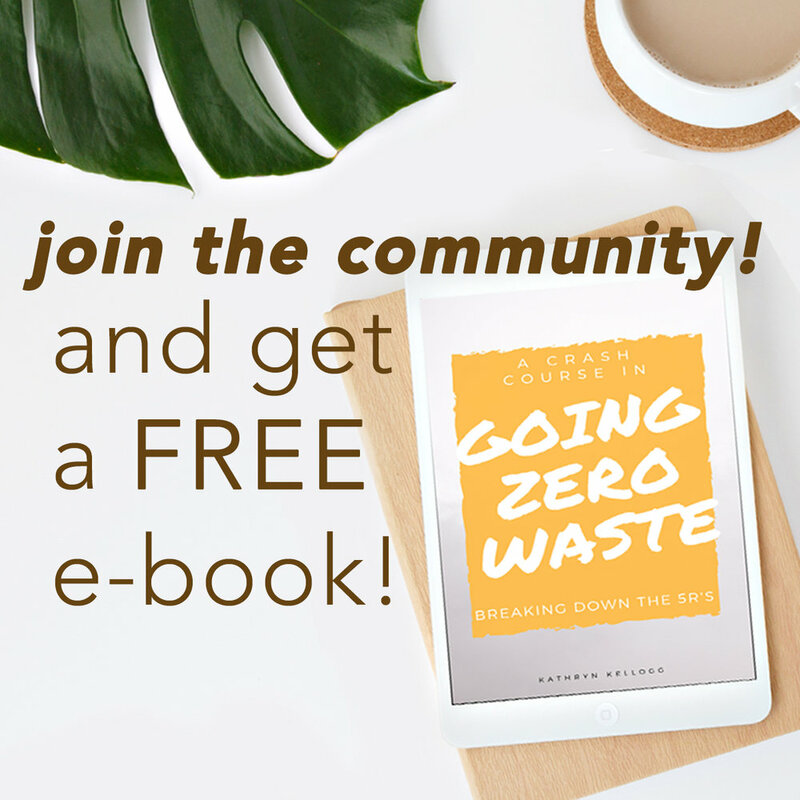 I started this zero waste journey due to reclaiming my health. This toothpowder is mild and non-abrasive. However, teeth are highly individual. If you have soft teeth, you may need fluoride to prevent cavities. It's very personal. Justin still uses Tom's of Maine toothpaste, you can read that post here. You can read all about my six-month check up here. Cosmetics can be pretty tricky to make. By far the most difficult thing I've DIY'd is mascara. Thankfully there are a lot of eco-friendly beauty companies out there. I talked about several in this post here. I really like this mascara and eyeliner recipe here, but I stick to store bought concealer. I want to do a full post on eco-friendly, zero waste cosmetics. Be on the lookout for that post coming soon! Switching to a natural deodorant was super important to me. If you haven't read my about me page, it details it further. The deodorant is super simple to make with just two ingredients. If you want to make it a little more potent try adding more salt. Get the recipe here. I am working on a prescription strength deodorant that can be spread in a deodorant tube. Be on the look out for that soon too. I'm working on makeup remover, another face scrub, another face mask, and a couple other bathroom DIYs. Is there anything you'd like to see me make? 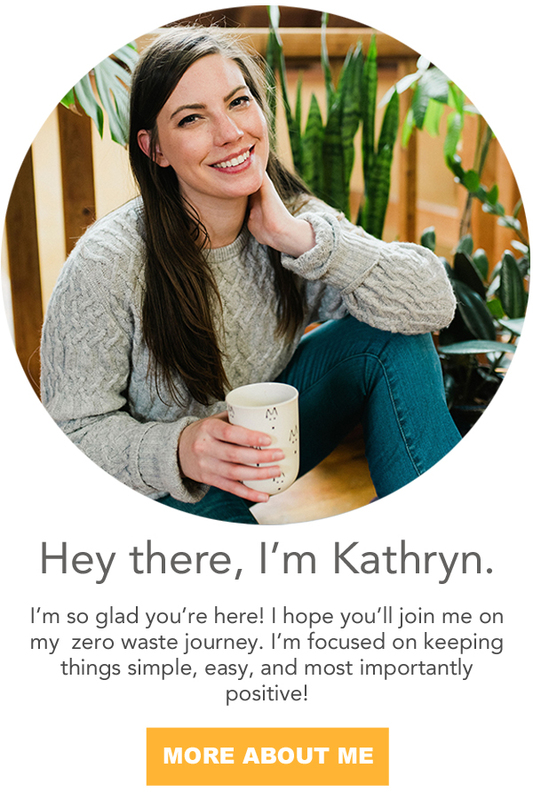 What are some of your favorite zero waste bathroom swaps? This post may contain affiliate linking you can read more on my disclosure page. Thank you for your support.